Fear of quitting our jobs, leaving a relationship, starting a relationship, fear of getting sick, fear of death, fear of trying something new, and even if you tell me you don’t have any fears, I’m pretty sure after a bit of coaching I would find one or two. 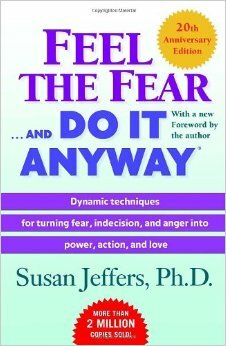 That’s why I believe “Feel the Fear… and Do it Anyway “ by Susan Jeffers is a book that everyone should read. The first time I read it was long before I knew about coaching, back when I was trying my hand at selling for my ex husband’s business. If you’ve read Brene’ Brown’s Rising Strong then you will know something about the power of story. Susan Jeffers also knew this, almost 30 years ago, when she wrote her book. Very quickly you will notice she is able to empathize with your story and what you are feeling hence drawing you in further to want to learn more. In the first chapter she gets right to the point of listing the most common fears in all of us. Odds are you’re already feeling like she “gets” you. And then BAM, on only page 7 she tells us what everyone’s biggest fear of all is. Not death, not divorce or being left alone but instead the fear that whatever you’re current obstacle in life is….. I CAN’T HANDLE IT. I can’t handle being alone. I can’t handle losing my job. I can’t handle losing money. I can’t handle getting old. In order to know more about how to face these fears we need to understand more about fear itself. So she shares with us 5 Truths of Fear. The fear will never go away as long as you continue to grow. The only way to feel better about yourself is to go out and do it. Not only are you going to experience fear whenever you are on unfamiliar territory, but so is everyone else. By deeply reflecting on these truths you can see how many people have been putting themselves in a place of pain rather than one of power, change your perspective on fear by accepting these truths and you will move yourself into a stronger place of power in your life. Susan’s Pain to Power chart really interested me. Many of us have fears because we don’t feel we are a strong enough person. Her chart shows us how we can gain back our own power by simply choosing to change our vocabulary. As an example try saying out loud “I won’t” instead of “I can’t” or “I could” instead “I should.” Can you feel the difference inside your body? Can you hear how those simple words open up possibility rather than shut it down? As a coach who focuses on communication I love this because it’s not just how we talk to others, it’s about how we talk to ourselves as well. The power of words is not only in our voice but in our minds as well. I noticed that the book does a fair amount of focusing on females, possibly leaving male readers feeling a bit left out or that the book wasn’t written for them. Because it was originally written 30 years ago I believe that her female view of men is a bit narrow. However stick with it guys, there is still much of this story that will be familiar to you too and you will take as much away from it as your female counterparts. One of the things I really loved about this book was her attention to the fact that whenever we begin to make changes to who we are being in our lives inevitably those closest to us will start to notice and some may not like what is happening. The status quo is changing, you are no longer predicable and that is uncomfortable for people. So she addresses this issue by providing further skills to deal with resistance from friends and family. Making a request of them going forward. Said yes to leaving the city I had called home for 19 years. Become an expat and moved to a third world country, learning a new language and culture. Found the strength to be able to move back to Canada on my own at 42 and start all over again. I would not have taken the financial plunge and made the emotional commitment to take coach training and fulfill my passion. 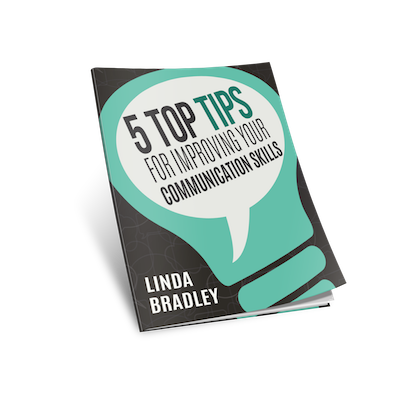 I would not have joined Toastmasters and become a speaker and better communicator. I would not have met my current partner and had a second chance to love and be loved. So as simplistic as some of this book may sound, it can work, if we open ourselves up enough to let it. If there is something holding you back, if you’re always afraid to try new things or take a risk, consider reading Susan Jeffers book, only by facing our fears can we grow into the person we were meant to be and thus change the course of our lives. She was the author of many internationally renowned books including Feel the Fear and Do It Anyway, Feel the Fear. . .and Beyond, Feel the Fear Power Planner, End the Struggle and Dance With Life, Dare to Connect, Opening Our Hearts to Men, Losing a Love...Finding a Life, Thoughts Of Power and Love, The Little Book of Confidence, Embracing Uncertainty, Life is Huge! plus her "Fear-less Series" of affirmation books and tapes (Inner Talk for Peace of Mind, Inner Talk for a Confident Day, and Inner Talk For a Love That Works). Her latest book is The Feel the Fear Guide to Lasting Love, which was published in the UK in May 2005 and in the US and Canada by her own publishing company, Jeffers Press, in October 2005. As well as being a best-selling author, Susan was a sought-after public speaker and has been a guest on many radio and television shows internationally. She lived with her husband, Mark Shelmerdine, in Los Angeles until her untimely death on October 27th, 2012. What makes the work of Susan Jeffers stand out? A look at the masses of thank-you letters she receives reveals that her fans - young and old, and from a whole array of life situations - love her humanness, her humor, her willingness to reveal so much of herself, the universality of her message, and the easy-to-understand style of her writing...a winning combination, indeed. They report, "It's as though she is speaking directly to me." The connection is truly felt. And connection is what Susan Jeffers is all about. When you think of a hero what comes to mind? Something like this picture? Movies and comic books have led us to put the word Super in front of the word hero. What if instead many of us were actually living with heros? Men would love to be our heroes. Let me set the stage. “You’re always late when we get together, I find that frustrating.” Sound familiar? Do you have a friend or a colleague who is always late and you value punctuality?Or maybe they always cancel your plans at the last moment, driving you crazy.Have you ever had the courage to talk to your friend about these types of issues? Or do you just stop making the effort and within a short period of time you are no longer in each other’s lives?